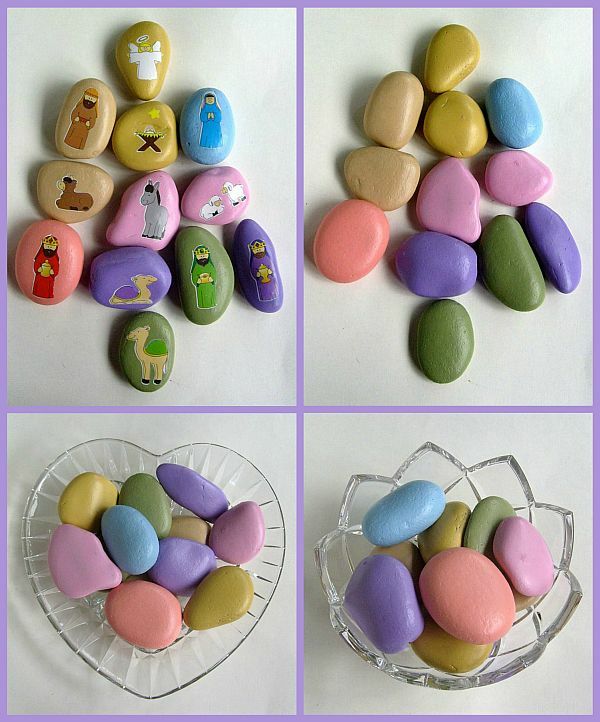 Twelve, smooth decorative stones are painted on both sides with pastel-hued acrylic paint. 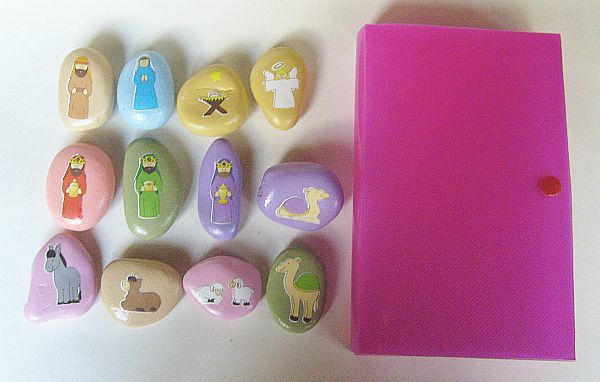 A decoupage technique was used to apply 12 nativity scene images to the painted stones. 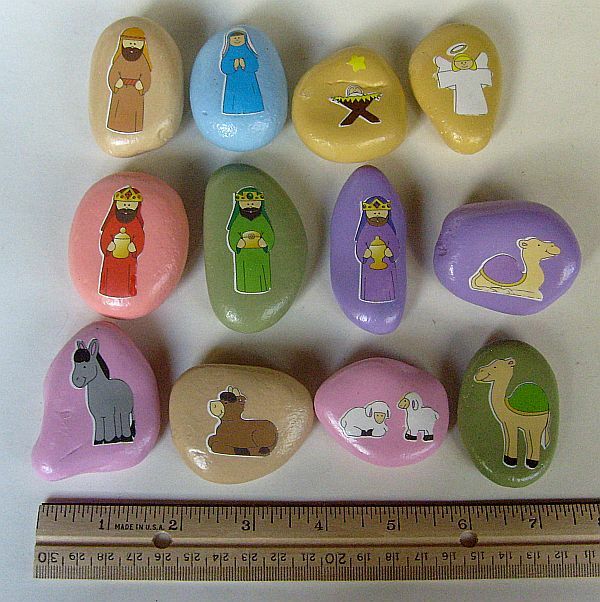 Nativity scene figures include, Mary, Joseph, Baby Jesus, Angel, 3 Wisemen, 2 Camels, 2 Lambs (on 1 stone), 1 Donkey and 1 Cow. 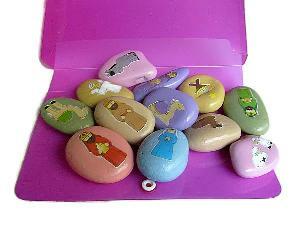 Plastic, snap, storage box: 5" x 8" x 1-1/2"
Total Weight: 1 lb. 13 oz. I strive to make the colors shown as accurate as possible. Screen images should be used as a guide only.